Any freelancer, consultant, or agency that has been in business for any length of time has experienced the monster that is scope creep. It goes something like this: work with a new client starts off as well as you would expect, but over time the project seems to get bigger and bigger while your price remains the same. Most of us have been there at one time or another. The client either (a) seems to think that the “extra”work is within the scope of the original agreement, or (b) simply doesn’t realize that he or she is asking for more than was originally agreed. Either way, you’re losing money. 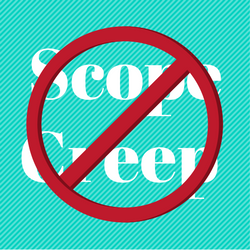 Scope creep is a slippery slope and can be difficult to recover from. Once you accept scope creep from one client you are setting a precedent for the rest, and although you may not have to physically hand over money as a result of scope creep, the effect is essentially the same. More time spent on a project than you anticipated puts you out of pocket. In this article I want to establish the five step process that I recommend to prevent scope creep from taking over your business while keeping your clients happy. Believe it or not, the two go hand-in-hand. Scope creep can mean many things depending upon context so it is probably best that I start by explaining my definition. For the purposes of this article, scope creep is the process by which a project grows beyond its originally anticipated size. I’d be willing to bet that most people who read that sentence are likely to conjure up images of unscrupulous clients seeking to take advantage of well-meaning service providers, but scope creep is more often down to misunderstanding than anything else. It’s also something that can happen in any type of project. While it’s common in software development, you’ll find disagreements on scope whether it’s a social media proposal, or a contract selling marketing services. In the great employed vs self-employed debate, scope creep is a big problem for most of us that work on our own. Employees in a big company rarely have any control over the scope of their work. But if we aren’t careful, we can fall into the same trap. This applies to anyone working on projects and servicing clients. Scope creep should not be seen as a “cost of business.” You should be in control of your time, effort, and client outcomes. If you follow the process below the only backlash you will get is from poor quality clients (i.e. those who want a free meal), and you shouldn’t be working with them anyway. Meanwhile, the good clients (i.e. those that you do want to work with) will benefit from your focused and professional approach to project management and delivery. It truly is a win/win method. My client would like me to build them a new web site. 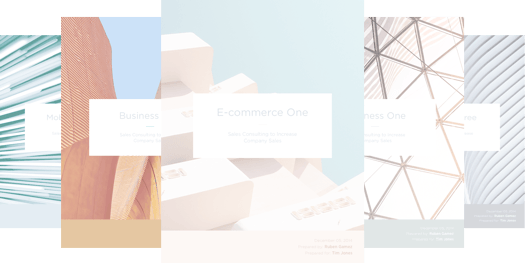 My client wants to increase online sales by 30% by creating a more user-friendly website design. When working with a client your overruling focus must always be on the desired outcome in terms of business goals. Building a client a new website doesn’t hint towards any kind of real business benefit, but providing a service by which you aim to increase online sales by 30% creates a clear expectation. In turn, that leads to a far reduced likelihood of scope creep. If you understand the outcome then you should have a relatively clear idea of what you will need to do in order to fulfill the client’s desires before you’ve even discussed specifics. Because this understanding is so crucial, do whatever you can to obtain it early on in the process… even when you work on your networking or email leads before they become clients. Passive: the client tells the service provider what is expected of them. Dynamic: the service provider works with the client to establish what they need in order to achieve their goals. If you understand your client’s desired outcome as per step one of this process then you should be a dynamic provider. If you allow the client to tell you what they think they want then you’re far more likely to meet scope creep at some point in the future when it becomes clear that their original scope of works will not fit the bill in terms of meeting desired outcomes. Instead you must collaborate with the client to produce a plan of action that is likely to meet with success. I do not use the word “critical” in a negative sense — I do not intend for you to tell the client that their ideas are awful (because they’re probably not). But two minds are better than one and it is important that you bring your own perspective to the table and help shape your client’s plans to provide the best possible chance of success. Remember — you are the expert in the partnership, so act like it. Learn to give constructive feedback. If you choose simply to do as the client asks then it is likely that at some point in the future they will adjust their plan in order to achieve the outcome that has not yet been reached. It is at this point that scope creep becomes a distinct possibility. Your involvement in the planning process reduces the likelihood of this drastically. Now let’s get down to the nuts and bolts of scope creep — more often than not it comes about as a result of a poorly defined scope of works. For the most part, clients aren’t concerned about what is in your agreement — they are concerned about their business. If they believe that you are liable to carry out work they will ask you to do it. If they feel that something needs to be done in order for their outcomes to be met they may request it of you — in all innocence (or ignorance, depending upon how you look at it) — without a second thought to the scope of works. That is why a clearly defined scope of works that is understood and agreed by both parties is so important. There’s good reason why it’s considered one of the crucial clauses in a client contract. If you aren’t careful, the to-do lists in your integrated Basecamp stretch a mile long before you know it! Not only should you ensure that the works to be carried out are clearly and unambiguously worded in your agreement, you must also ensure that the client has read the scope and is fully aware of what is and isn’t included. In terms of keeping the client happy, it is less about what is in the agreement and more about what they know is in the agreement. You do not want a client to go into a project with expectations of service delivery that are not matched by the particulars of the scope of works and it is your job to ensure that they are suitably informed. Ultimately, scope creep comes down to an issue of price — if the resources expended on carrying out a project exceed the desired amount then you have failed to manage your business correctly. To avoid scope creep you must not only define the works but you must also have a crystal clear understanding of your material involvement in the project. Obviously, your pricing method will vary depending upon the nature of your business and the way in which you choose to approach the work but the key is in breaking down projects into their smallest constituent parts and ensuring that everything is accounted for. Then you can assign necessary resources to each individual portion of work and come out with a conservative costing. I would also advise that the rates you negotiate include a contingency in the region of 15%. This isn’t to allow for scope creep — it is an insurance policy to account for potential discrepancies in your estimate. At no point should you allow for scope creep — it is something that you must endeavor to eradicate, not manage. Once you have your scope clearly defined, it’s critical that your client reads, understands, and signs off on all the project documentation. This means you’ll want to include details of scope in your proposals and estimates. You can take a look at how it’s done in this marketing proposal. Some people use a separate contract to ensure they’re covered on the legal side. I advise that your contract clearly states that any additional work not stated within the scope of the works is considered as extra and must be something that your client agrees to. One of the best ways to discourage add-on work, is to use a premium rate for additional works. While the growth of a project during its lifespan is often unavoidable, you can encourage your client to prevent such an outcome by establishing repercussions (i.e. a higher price) if all elements of work to be carried out are not included within the scope of works. Remember: you don’t just want a signature on paper; you want your client’s understanding. They must know what they are paying for (and of course what they are not paying for). You must ensure that your client is happy that the scope of works is likely to fully meet their desired business outcomes. If you follow these five steps you are far more likely to deliver to the client’s desired specifications and avoid any unnecessary wrangling over what was expected in terms of service delivery. You’ll save yourself a lot of time and frustration, and only rarely have to fire a client. Don’t work yourself ragged to appease someone who refuses to be reasonable; you can always find more clients. Scope creep is not something to be feared — it is something to be removed from the equation. Fortunately, the process by which you can be confident of avoiding scope creep also enables you to provide a top-quality service for the client in terms of assessing their needs and providing a solution that should deliver to a more than satisfactory standard. What are your thoughts on scope creep? Do you have any stories of scope creep to share with us and if so, what did you learn from the experience? Let us know in the comments section! Previous Self-Employed? Learn the Psychology of Being More Creative! Next Are You Using These Three Amazon Tactics to Get More Out of Your Clients?